Just like with any process… you need to gather the materials you need. You know what makes Mother Goose Time so fantastic, though? That this has been taken care of for you, for the most part. Each Mother Goose Time Curriculum box comes with many of the art materials that you need— especially the more random items. (And usually, if you’re honest, we often say that we can’t make art because we don’t have x or y.. referring to the more obscure items… but that won’t be your excuse any more). That means, that what this curriculum doesn’t provide you with and you’ll have to gather yourself, will be things that you would usually have at home: like scissors, glue, crayons, markers and paint. But don’t worry if you don’t have paint, you can easily find small containers at The Dollar Tree, washable glitter paint at Amazon (did you even know it was a thing? I didn’t! I knew about glitter glue, but not glitter paint… sounds like so much fun, doesn’t it? ), regular washable paint or larger paint containers for a total of 48 oz. And all the materials both for art projects and the rest of the curriculum activities are packaged up for each day. For example, you’ll find the materials that you need for Day 1 in the Day 1 bag, the materials you need for Day 2 in the Day 2 bag and so on. That means that Mother Good has done most of the gathering up for you. You just have to supplement with the more common materials. On occasion, the larger art materials that are too big to fit in the bag are placed in another bag with the larger art materials, but they’re not hard to find at all. 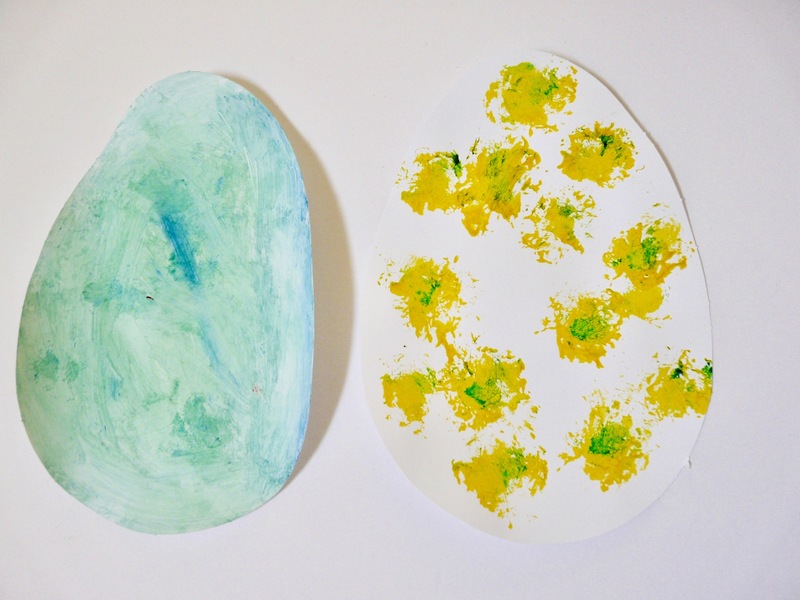 Mother Goose Time provides a wonderful opportunity to make art, but of course, you have to make the time to do these activities. If you’re a stay at home mom, setting a schedule to do a day’s worth of lessons (as it is clearly spelled out for you in the Teacher Guide) will more than likely allow you to make art because there is at least one major Mother Goose Time lesson in which you’re making art per day. If you’re a mom who works outside the home, then you can decide to do a lesson per day (not a whole’s day worth of lesson, but just one lesson at a time) OR you can decide to have Mother Goose be the fun and educational activities you do with your children on the weekend. To some children, they’re equally as fun as going to the museum, zoo or library. 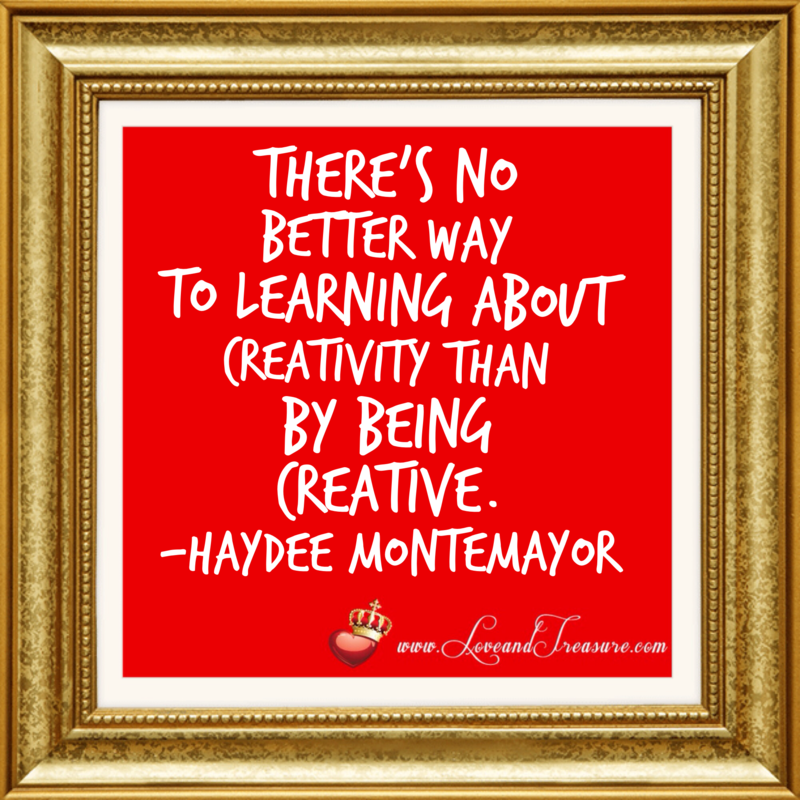 If you do only one lesson per day, not all the lessons will involve art, but a large portion of them will. As a matter of fact, one of the things that I like the most about Mother Goose Time, is that aside from being a very hands-on curriculum, it’s a curriculum that uses art to actually teach concepts. That’s pretty novel, isn’t it? Imagine having learned algebra through art. Or geometry. Or philosophy. It would have been a totally different learning experience for us. 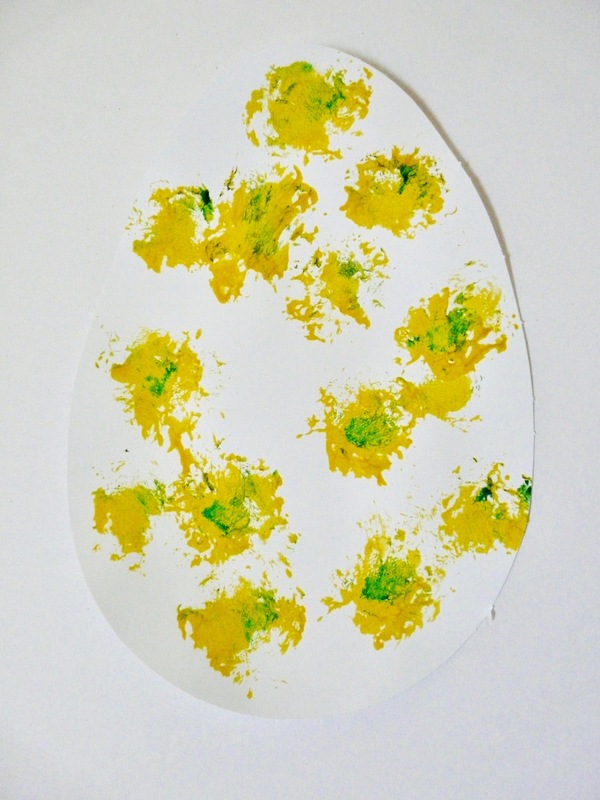 I have to say, that I also believe that art makes childhood so fun, so memorable… so bright. In order to make it easier to jump into the Mother Goose Time’s art activities and regular lessons, define a place in your home that you’d like to make art in. If you have a kiddie table in a location that has carpet underneath, then you can do all the activities that don’t involve paint there, and do the activities that do include paint in the kitchen. Another alternative would be to do paint art projects outside. If your kiddie table or dining room table doesn’t have carpet underneath, then you can do all the activities there. You could potentially do your art in the kitchen table all of the time… but, you’ll be using the Mother Goose Time curriculum so often, that clearing the table for each mealtime, might be more of a challenge. So I recommend having a place other than where you have your three meals a day to literally spread out your art supplies. If you’re worried about your dining table or another being surface being “ruined” as a result of so much use… you can use a plastic art mat. It’ll facilitate cleanup because it’s easily washable. One of the more important things to do is to ensure that whatever locations you use have the Mother Goose Time materials and art materials nearby. Being in the moment, means exactly that. When making art, it is particularly important that you’re focused on the art techniques you’re doing and concepts you’re learning instead of being focused on the mess you’re making. Model the behavior that you would want your kids to be modeling while they’re making art. 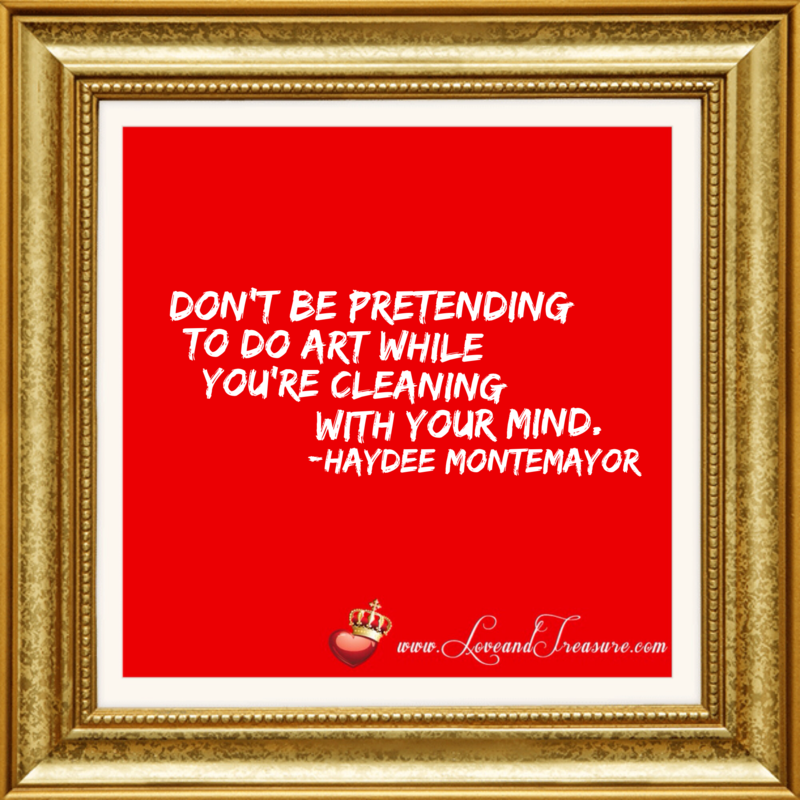 Do your kids do great art while they’re distracted? No? Well, guess what? Neither do you. Is it possible that you may decide to do Mother Goose Time activities while you’re worried about something else? Sure. It happens. But remember that art is supposed to be an outlet.. so, as much as possible, let your worries vanish, at least temporarily. Be as present as possible with you’re making art with your kids. It’s almost a sacred, cathartic time. Feel the pride you would feel as a kid when you made art. (You know…. the kind of pride you felt before you started comparing your pottery with the one others made. Remember when the teacher would pull the pieces out of the kiln and you could have sworn that the perfect, smooth, colorful, shiny pottery was yours, but it turned out that the toothpick initials said it was someone else’s? 🙂 Good times, huh?). If you start bashing your art, what do you think that teaches your children? Whenever my kids and I are making art, I praise their art. They’re so used to it, that sometimes, I’ll hear one of them praise my art. And it feels good. It’s a win-win for me and it’s a win-win for them. 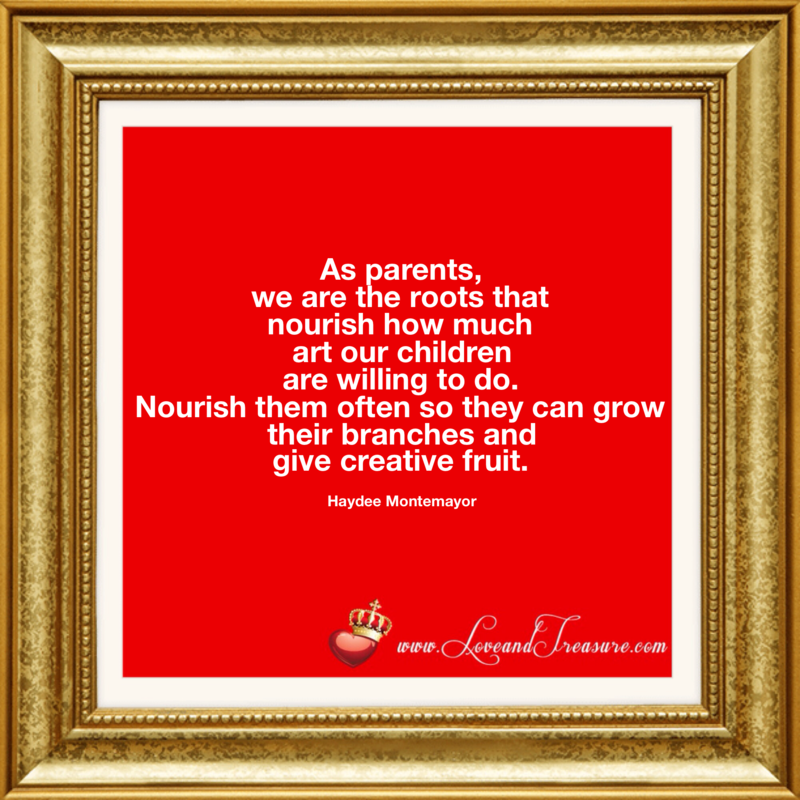 It not only helps amp up your appreciation for your art, but also builds your child’s character, manners, kindness and cooperation instead of competition. One of the things that I most love about Mother Goose Time is that it provides many art opportunities. 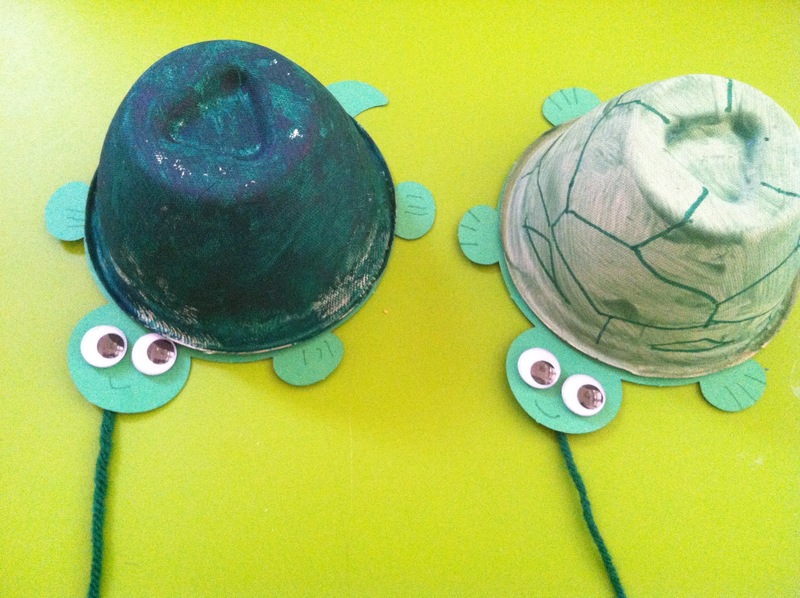 Last month’s theme was At The Pond, and we learned about turtles. And luckily, nobody made any mess. 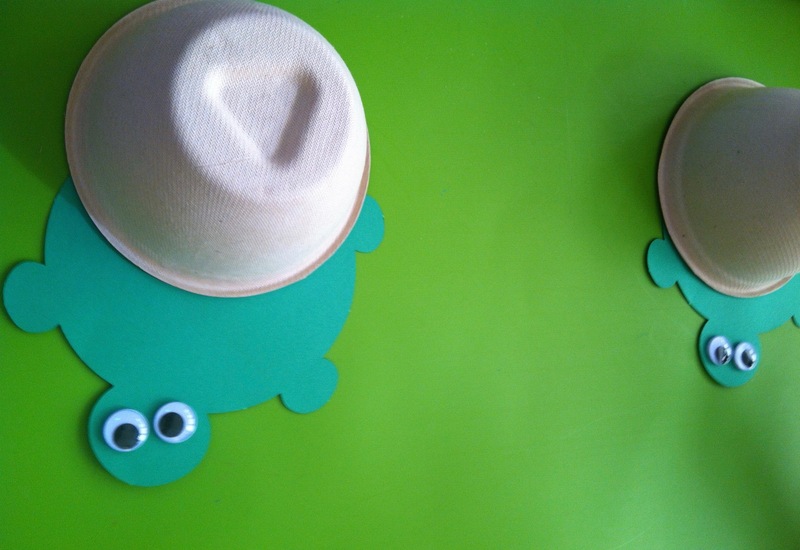 Plus, it was super nice to see the kids play with their little turtles for a couple of weeks. And to this day, more than a month later, the kids always say, “Look! A Turtle!” with such joy. 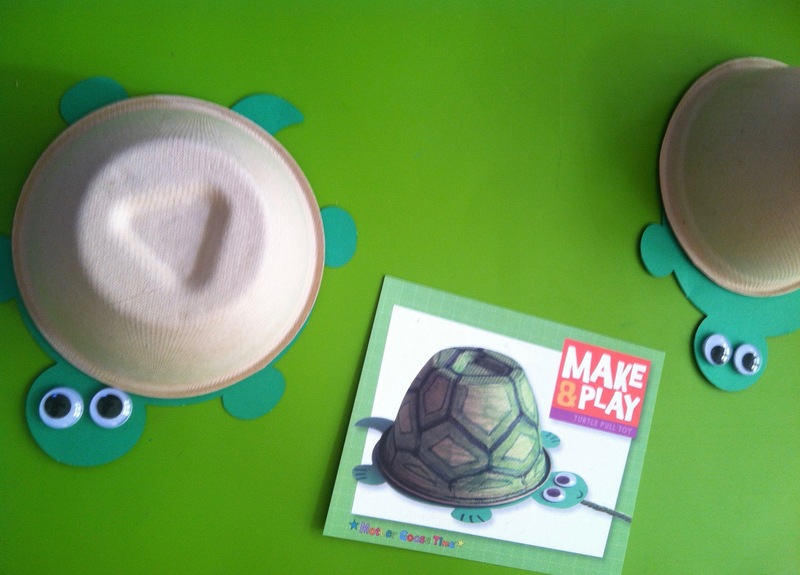 I doubt that learning about turtles from a worksheet would evoke such positive associations with the things that they learn. 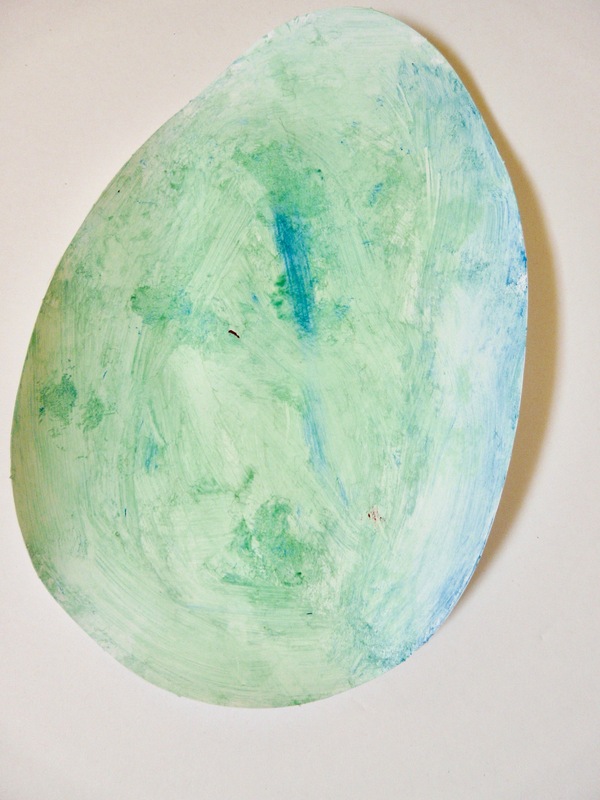 Then this month, the theme was Birds and Eggs, totally appropriate for Easter… and we made these paper eggs. Once again… the art technique to create them was so original. Painting with pompons…when we actually do have paintbrushes. Part of me wanted to pull the paintbrushes out thinking that it would be easier to paint, buuuuut, as you can see from a couple of the paintings, using paintbrushes, wouldn’t have yielded these unique results which look rather professional. 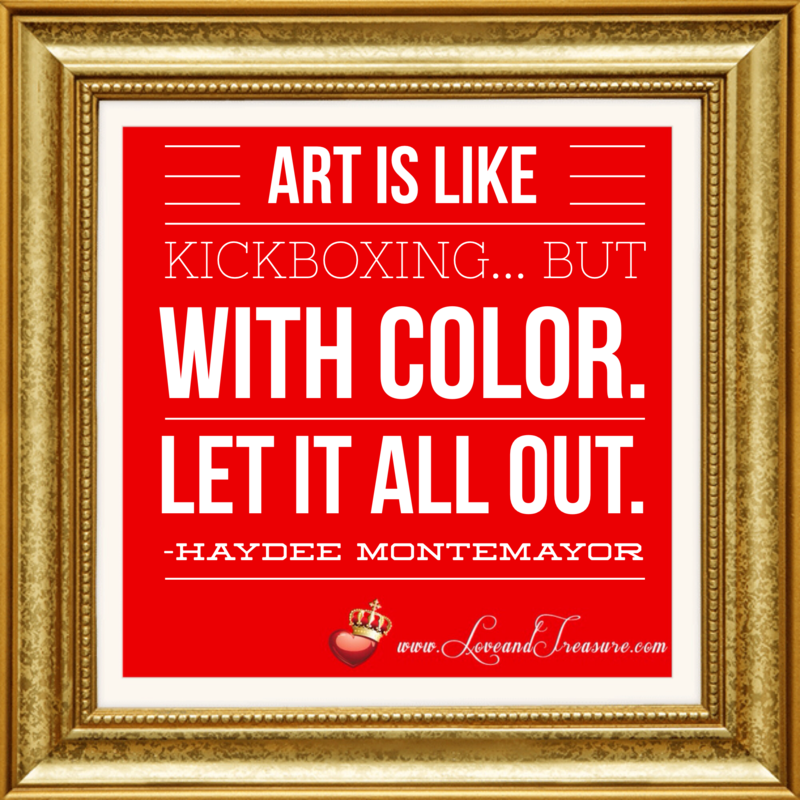 So do you now see how advantageous it is to just let lose a little when it comes to art? 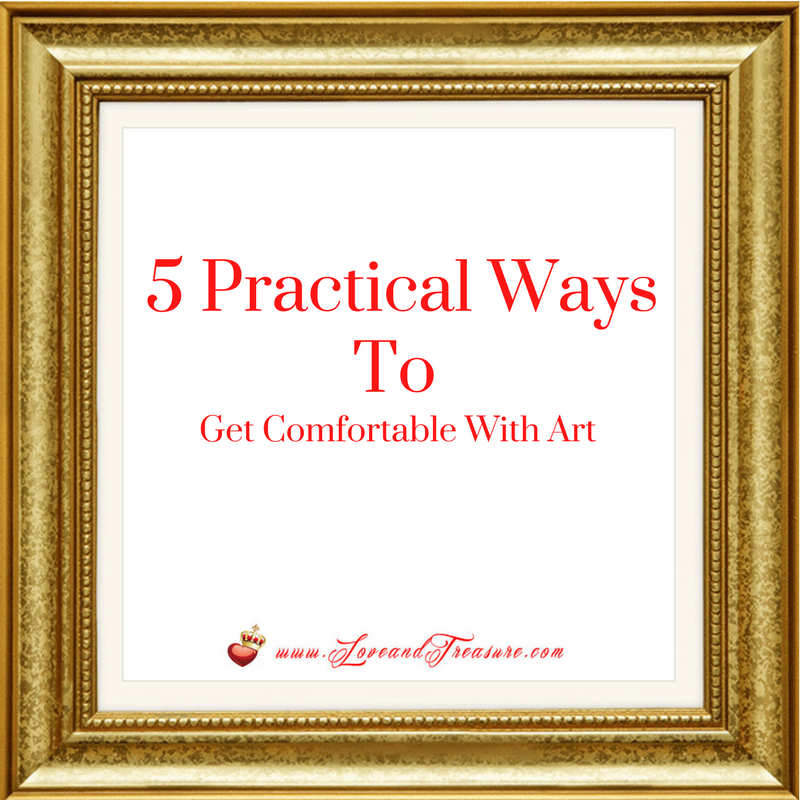 Getting comfy with art is the name of the game. There probably is a lot of unlearning to do… a lot of criticisms from the past to ignore, a lot of self-sabotage to overcome, but it’s worth it. 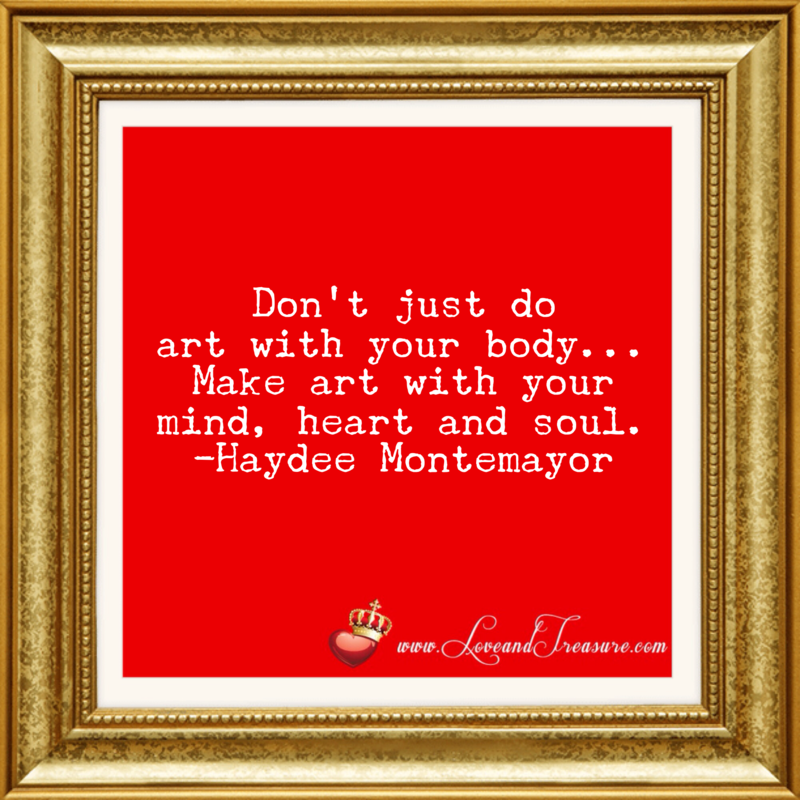 Tell me in the comments below… how do you plan to change your approach to art?